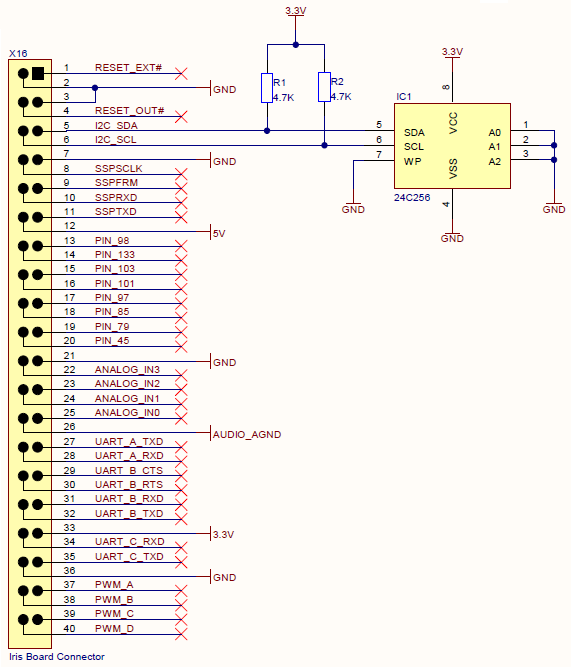 I2C Library provides easy access to I2C interface on Toradex module. We provide free I2CLib including demo source code. NOTE: Please use compatible I2C channel if you want to maintain compatibility between different Colibri modules. 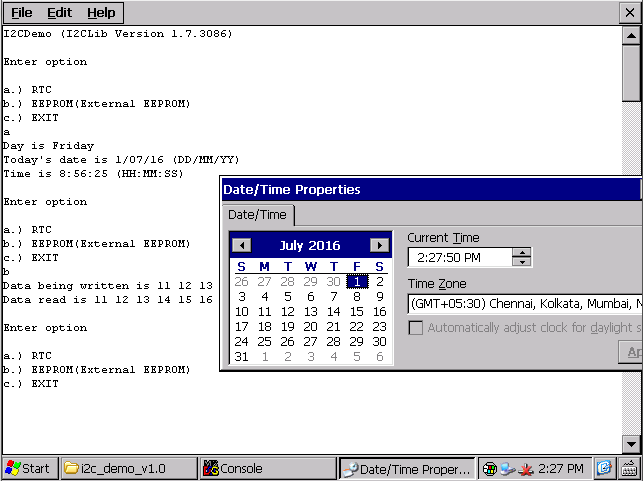 This application demonstrates the use of I2C library to read time, day of the week and date from the external Real Time Clock (available on Iris Carrier Board V1.1 , Colibri Evaluation Board V3.1 and Colibri Evaluation Board V3.2). A schematic diagram of the setup can be seen here. This demo explains how to use I2C library to perform read and write operations to an EEPROM chip. In this demo EEPROM 24C256 has been interfaced with Iris Carrier Board V1.1A. The connections can be seen in the following schematic diagram. NOTE: Pull-up resistors are already available on the Iris carrier board, so pull-up in the schematic of the EEPROM chip are not required, if used, will have no effect on performance.